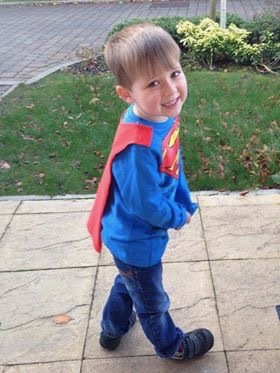 Our lovely little Harry was diagnosed with Acute Lymphoblastic Leukaemia (ALL) on 31st May 2013 aged 2 years old and started 3 1/2 years of treatment of which he had so many hospital admissions. Harry went into remission but unfortunately he developed Acute Myeloid Leukaemia (AML) in March 2016. His only cure was a Stem Cell Transplant and he underwent this on 29th July 2016. Sadly Harry passed away on 21st September 2016 due to complications, it was 8 days after his 6th birthday. Harry was such a happy, loving and brave little boy who never complained about his illness and we are so very proud of him. We first met the Emily Ash Trust at the Royal Marsden, Sutton where they hold their Pamper Evenings each month. Harry loved attending these events and meeting all the lovely, friendly volunteers and we did too! Harry also enjoyed attending the ‘Build a Bear & Zizzis’ event, ‘Winter Wonderland’ and he had a fantastic time in April 2014 at the Emily Ash Trust holiday home in Rye, East Sussex with his Mummy, Daddy and younger brother Oliver. Harry and Oliver were also there when his Daddy and his friend Steve carried out a SkyDive in support of the Emily Ash Trust. Thanks to the Emily Ash Trust we have so many wonderful memories of Harry during this really difficult time and we will always be so grateful! Matt, Debbie and Oliver Gaut.